There is currently widespread interest in the Chinese economy, due to its huge and rapid growth, and the consequent impact on world business and the world economy. At the same time, there are concerns about China's political system, China's human rights record and the degree to which reform - the development of 'socialism with Chinese characteristics' - represent real liberalization. 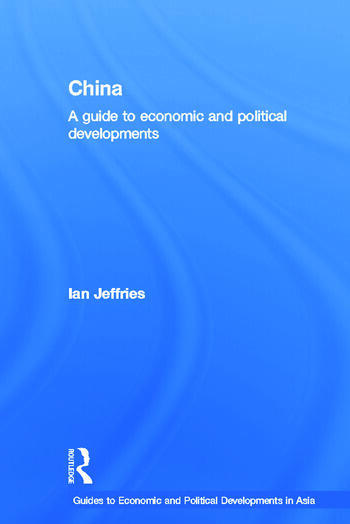 Providing an overview of earlier events in order to set the context in which economic and political development have taken place, the book traces economic and political growth in China from the early 1990s to the present. Covering Hong Kong, Macao, Tibet and Taiwan, the book discusses China's relations, including international trade with its neighbours and with the international community more widely. Other key topics covered include the growth of the market, the reform of state owned enterprises, human rights and SARS.